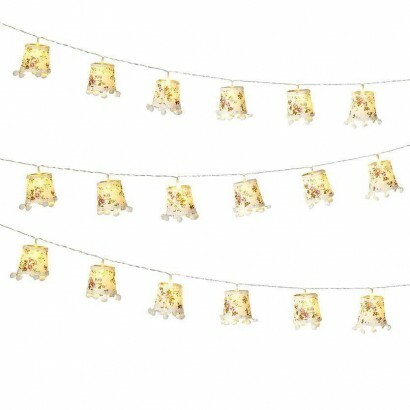 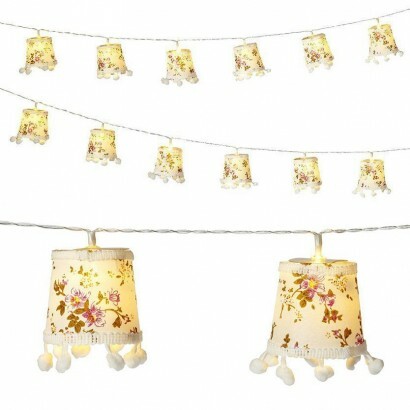 Delightfully twee, these decorative lampshade string lights feature ten vintage floral shades, each lit with a warm white LED. 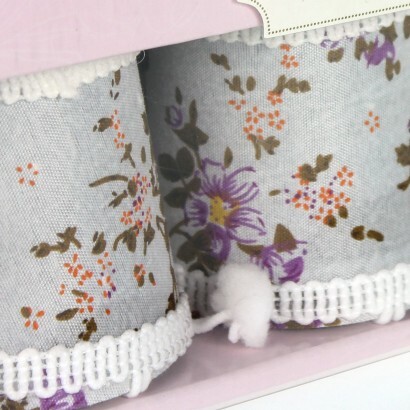 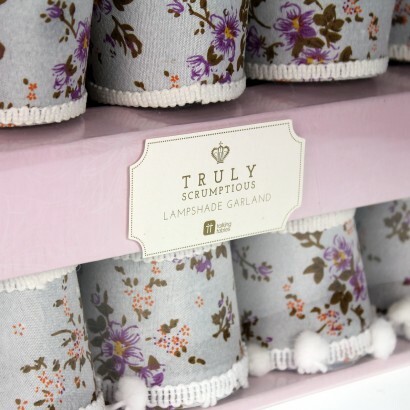 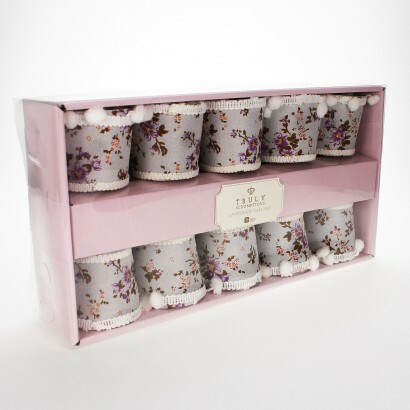 Perfect for adding a touch of shabby chic to your home, these charming light shades are detailed with lace trimmings and pom poms giving a kitsch feel to the light string that looks charming looped around features in your home and striking when bunched together and hung vertically. 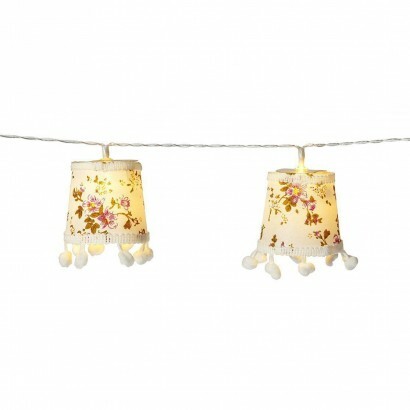 Battery operated, these decorative lights are easy to place anywhere, adding a warming glow to your home.